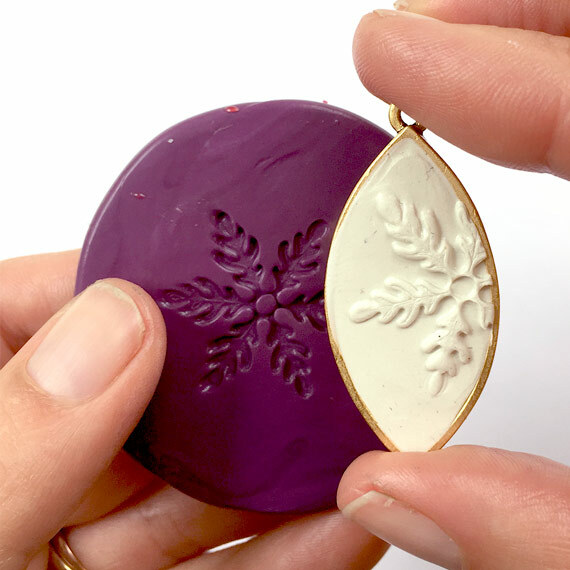 You are here: Holiday Ornament Workshop Launched! ← 12 Tutorials to Unwrap Your Creativity! Over the next 6 weeks, we have great plans to unwrap your creativity with a series of 12 tutorials. 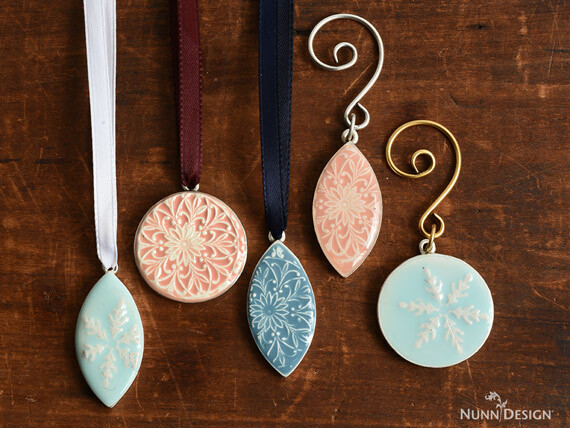 The first to kick off our inspiration is this Holiday Ornament Workshop. 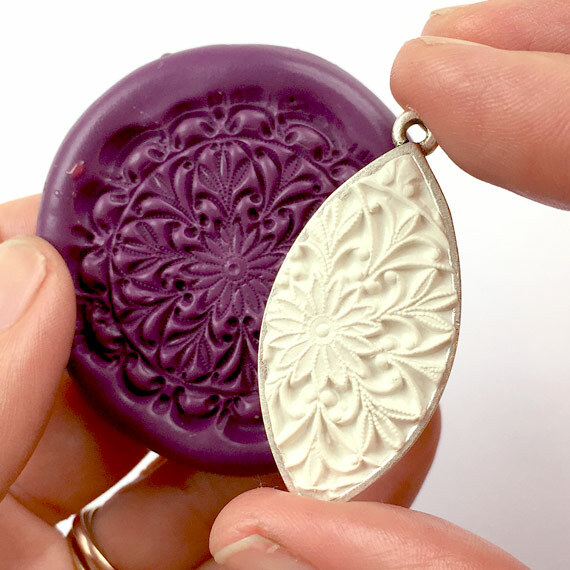 The tutorial and all of the products you will need to create this project, including the pre-made molds, are now live on our website!. 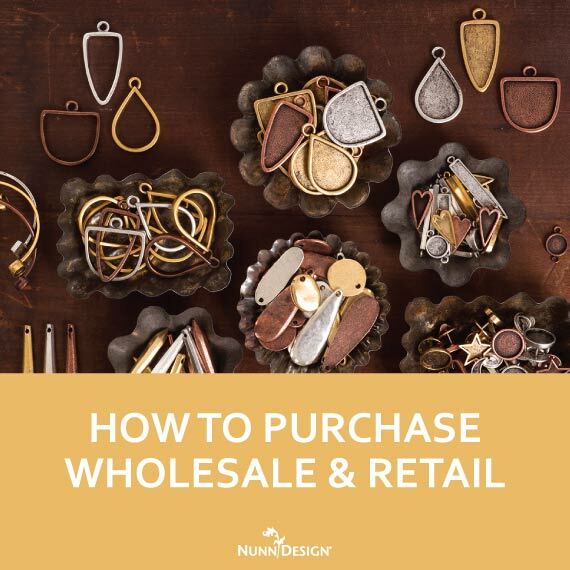 If you order right away, you will have plenty of time to receive the supplies and join me in a Facebook Live on November 30th at 10:00 am PST! I will be walking you through the whole process and answering questions you may have. 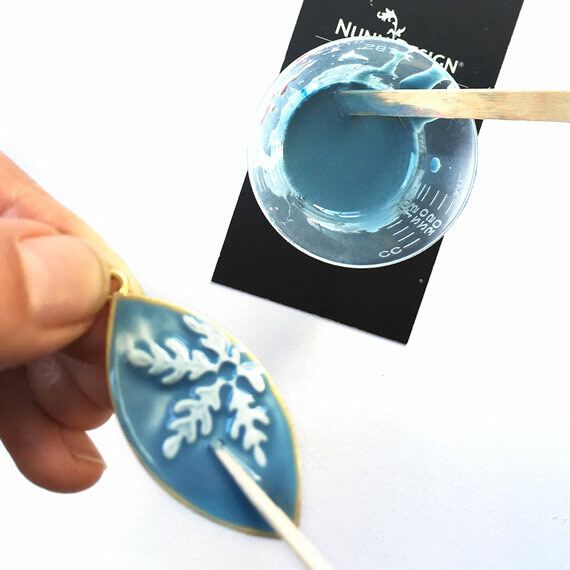 How to apply the colorized resin to the Crystal Clay Ornaments. 1. 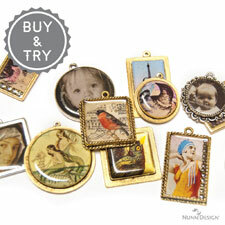 Select a Nunn Design Brass Stamping or a vintage button. 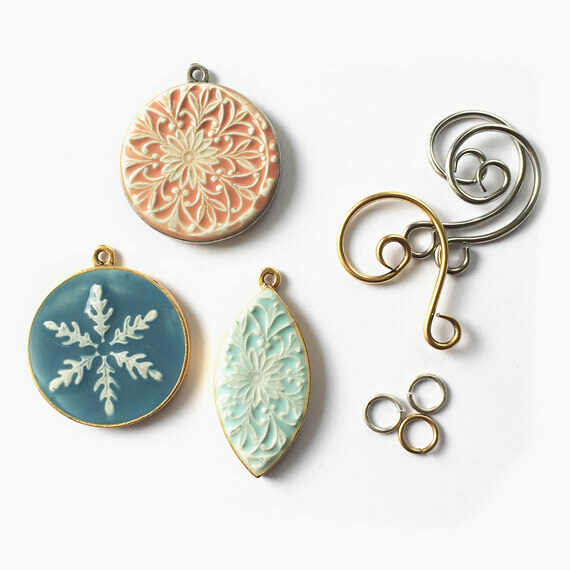 Brass Stampings or found objects with a lot of relief make the best molds. 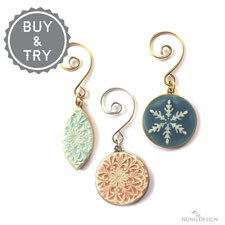 For this tutorial, I used both a vintage button and a plated brass stamping of a snowflake. 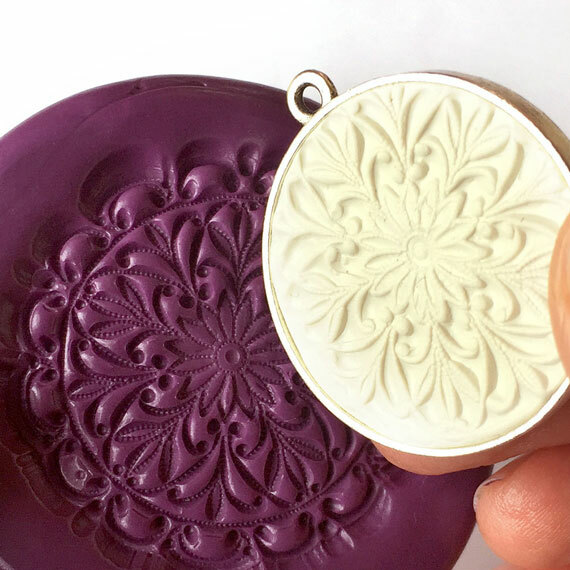 Both of these molds are available to purchase or you can create your own molds by following steps 2-6. 3. 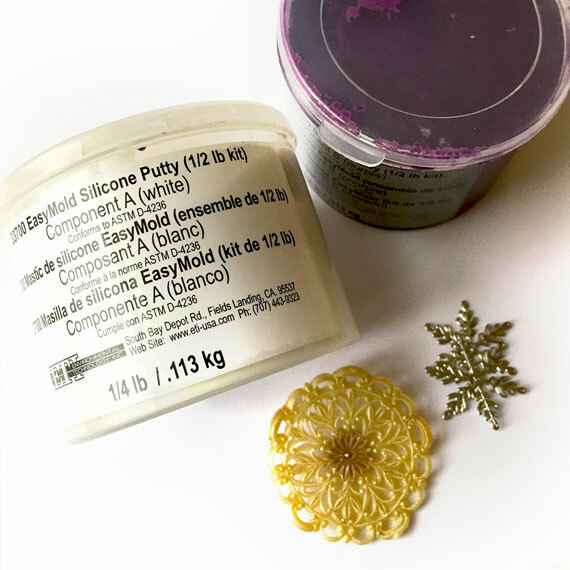 The Easy Mold Silicone Putty has a 3-minute working time before it begins to harden and not take the impression. 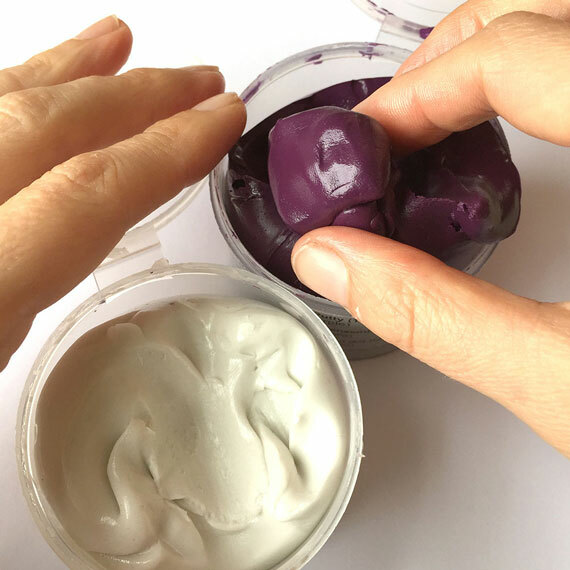 Knead both part A and part B together until the putty is blended completely and has a uniform color. 4. 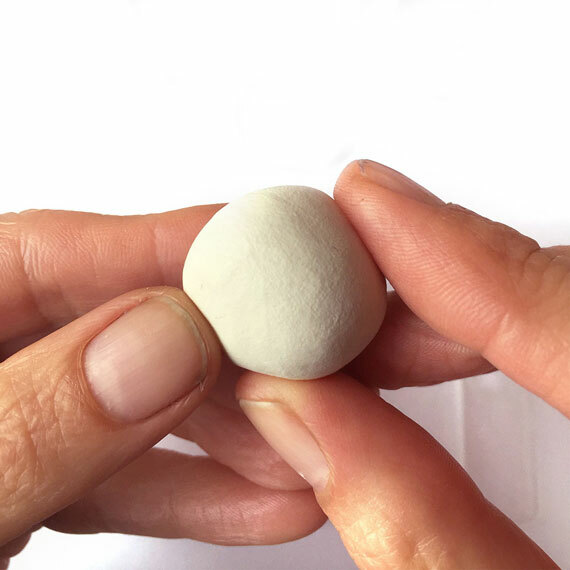 Roll the fully mixed Easy Mold Silicone Putty into a round ball and flatten slightly. 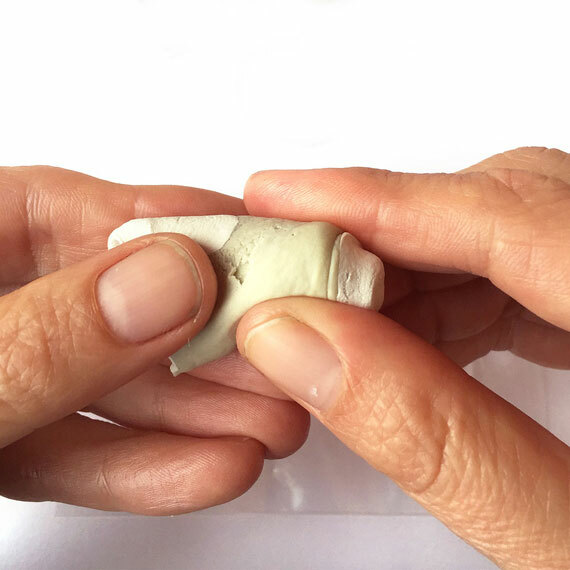 Make sure the putty is smooth and not wrinkled (the creases in the putty will show up in the mold). 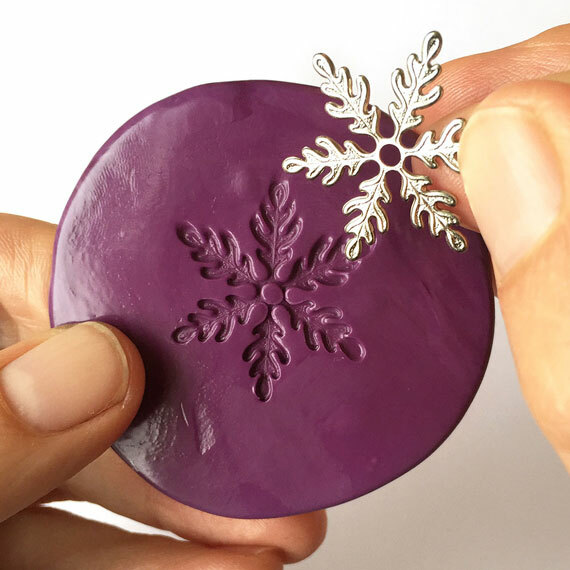 I like to use the lid of the Easy Mold Silicone Putty to create a nice flat smooth disk. 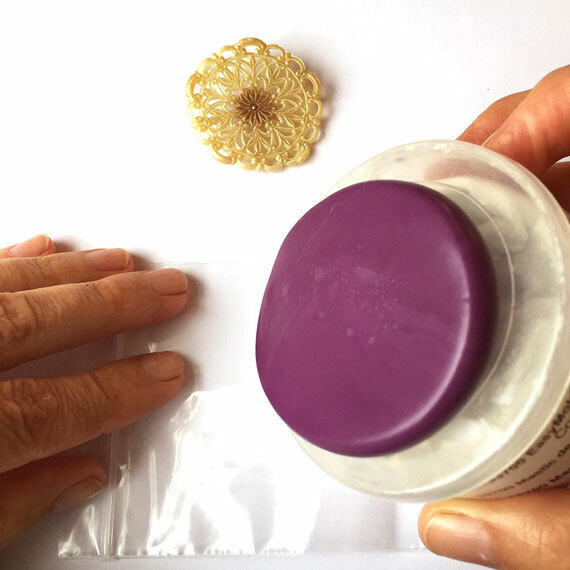 Place the mixed silicone ball onto a small plastic bag and press the lid evenly down into the putty. 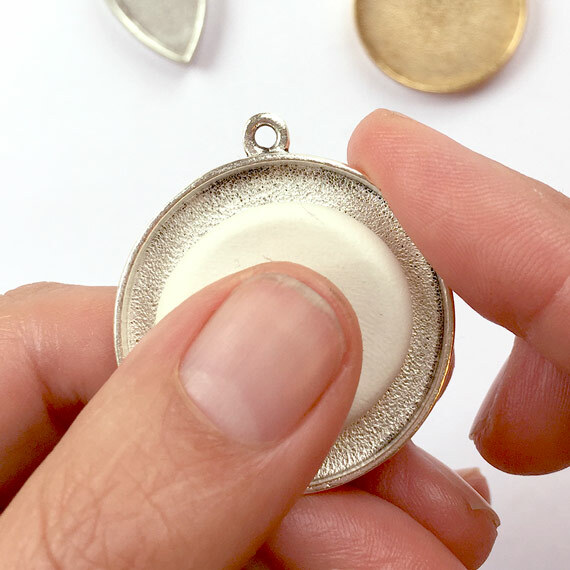 Remove the putty from the lid of the container and press the button or brass stamping into the silicone putty, but not so far into the putty that you hit the bottom. 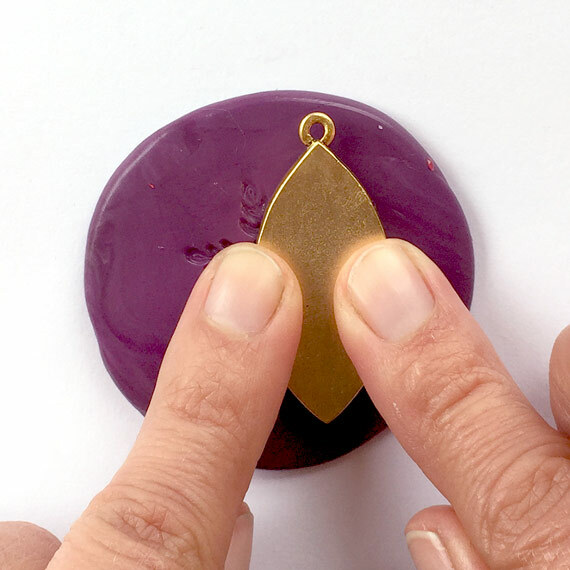 Leave the button or brass stamping in the putty for 5 minutes or until the putty is hard to the touch. 5. 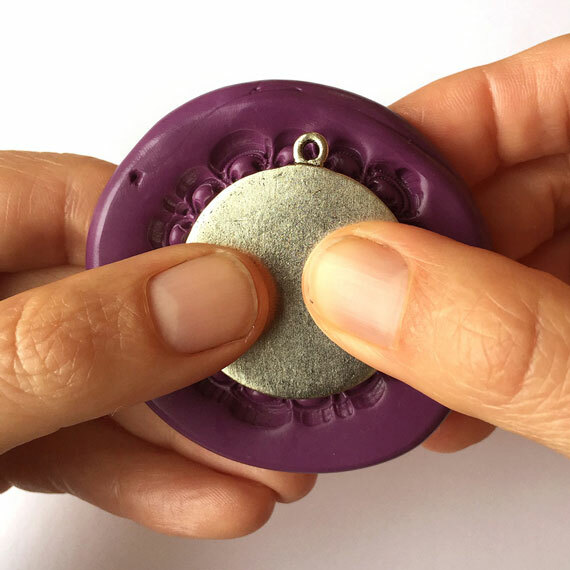 Once the molding putty is hard to the touch, bend the sides and remove the button. 6. 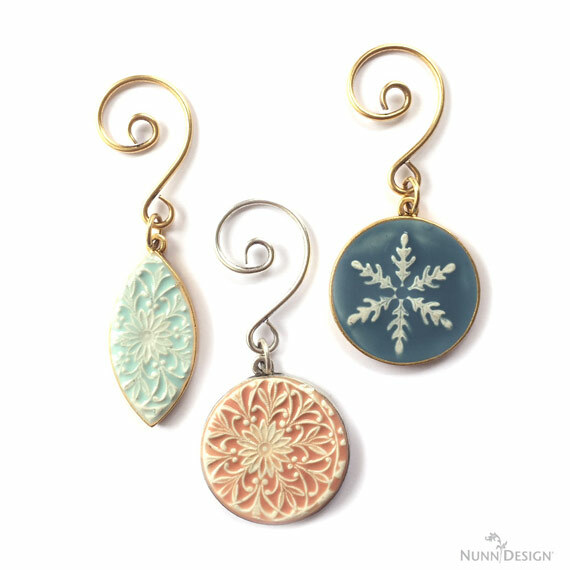 Here is what it looks like to create a mold using the brass stamping. 7. 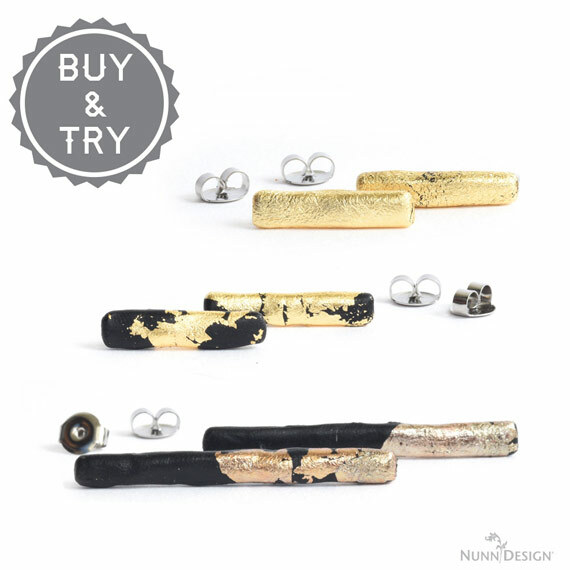 The Nunn Design Findings are oxidized to provide the aged look to the precious metal plating. 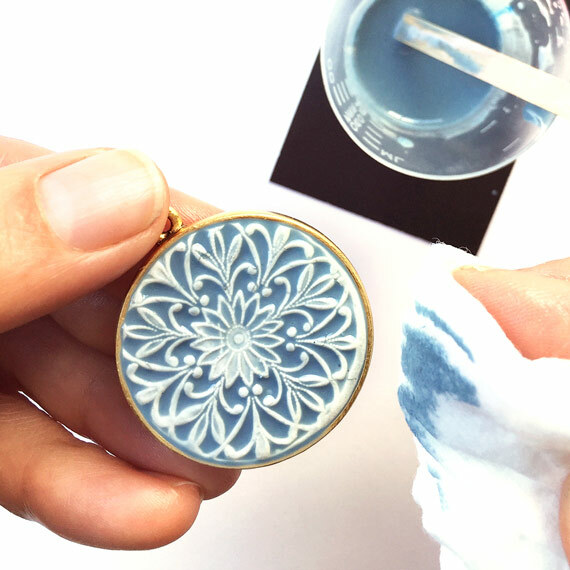 The oxidization, when it comes into contact with the Crystal Clay could change the color of the clay. 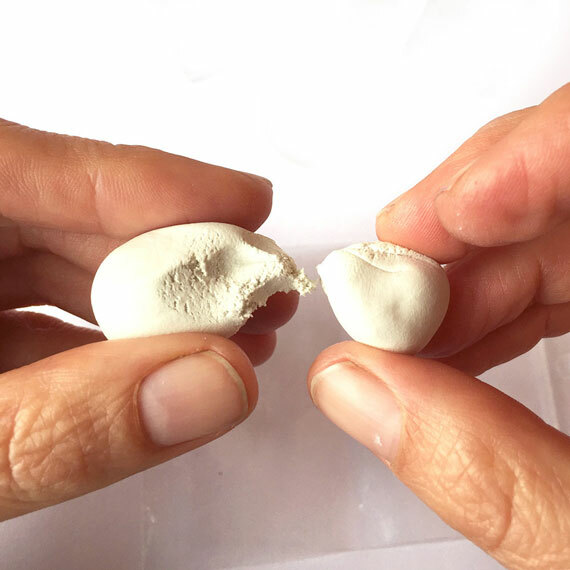 To avoid this, clean the findings thoroughly prior to applying the clay. 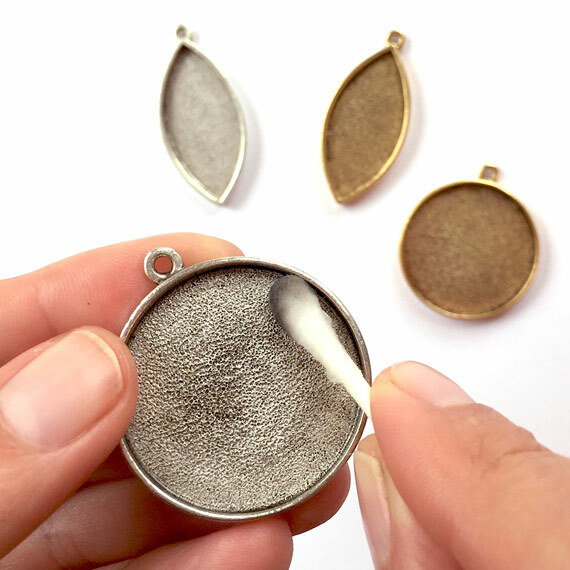 Get the tip of a Q-Tip wet with rubbing alcohol and clean away any of the blackened oxidization on both sizes of the bezels. 8. 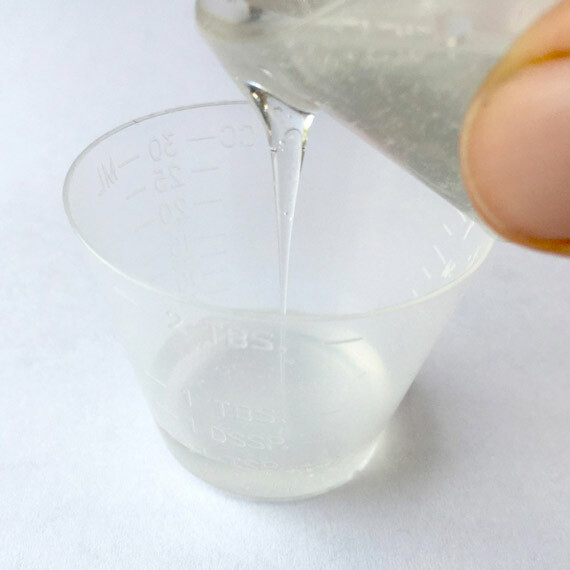 Follow the manufacturer’s instructions for the handling and mixing of the Epoxy Clay-Crystal Clay. 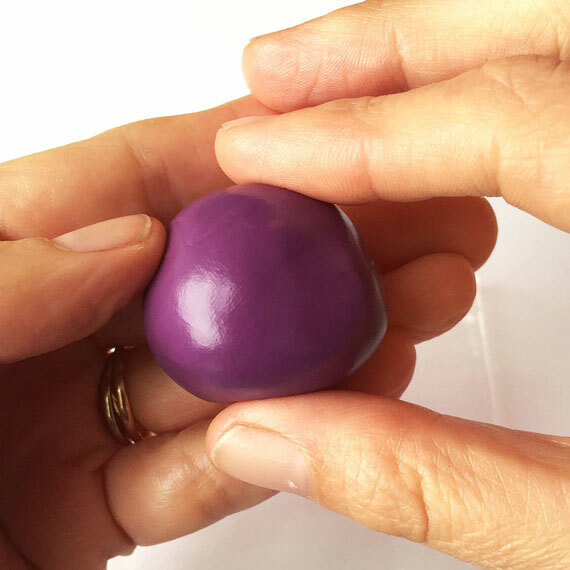 While wearing gloves, pinch off two equal sized balls of Part A and Part B and blend together fully until the clay is no longer marbled and uniform in color. You have approximately 90-120 minutes of working time before the clay starts to harden, so take your time. 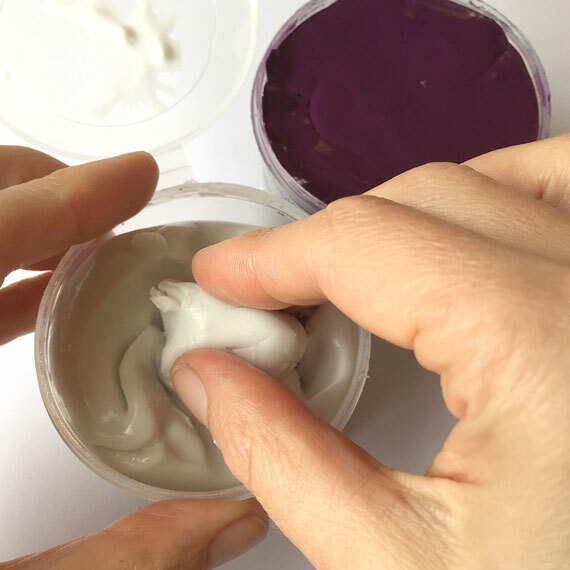 Once the clay is thoroughly mixed, remove your gloves to make it easier to work with the clay. 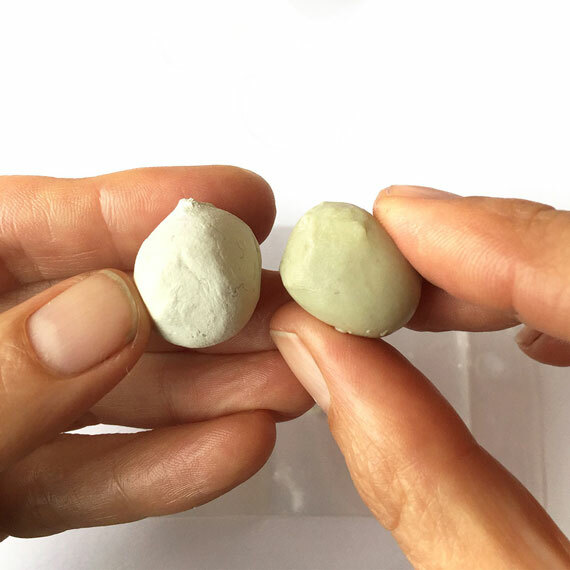 For this tutorial, I mixed a Whopper Malted Milk Ball size of both Part A and B of clay because I wanted to create multiple ornaments. 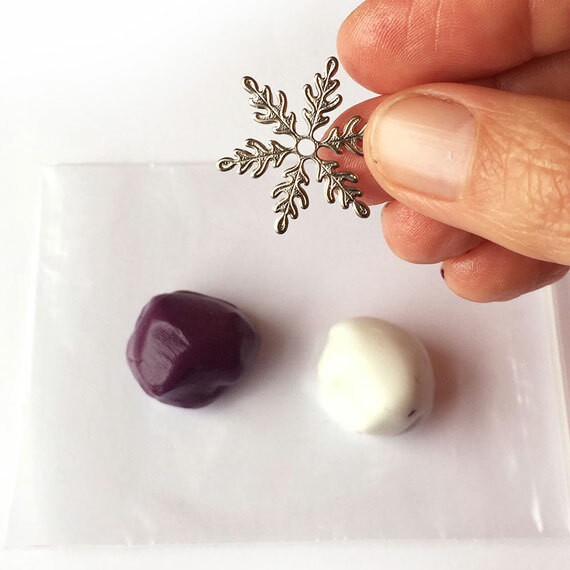 For each ornament I pinched off a large blueberry ball of clay. 9. 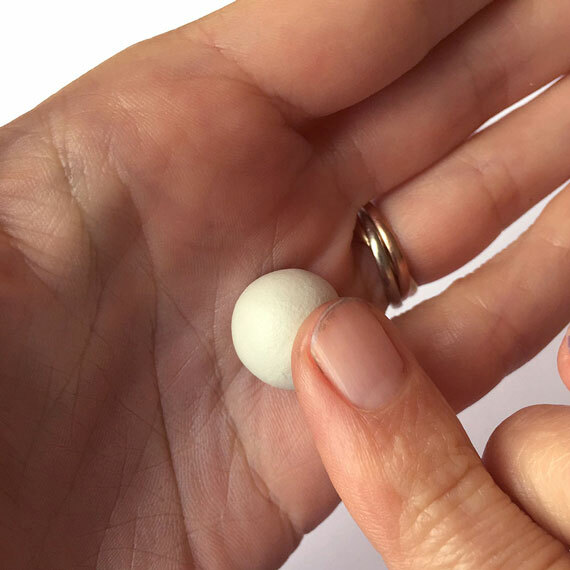 Roll the thoroughly mixed Epoxy Clay-Crystal Clay between your palms until it forms a smooth round ball. 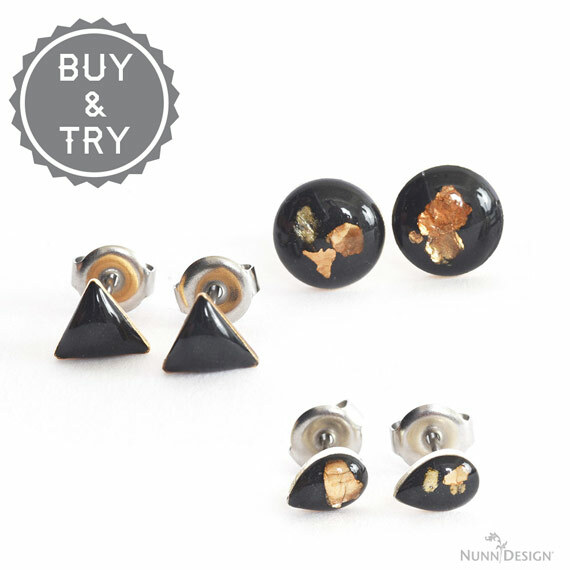 I like it to be smooth because it prevents from having creases once the impression is made. 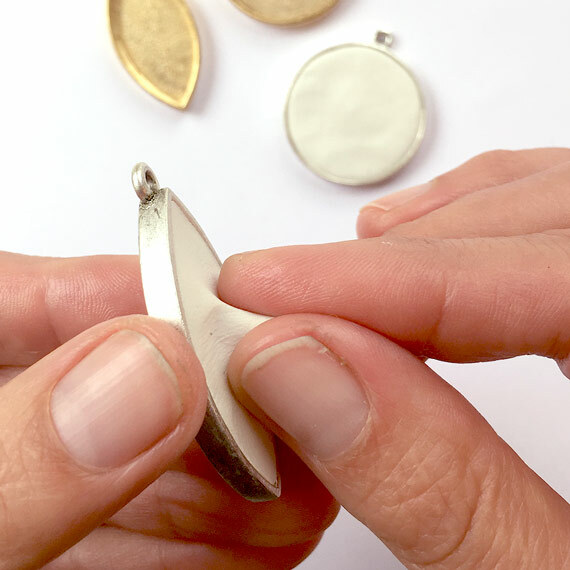 Press the ball into your bezel with your fingers to create an even smooth surface in the clay. 10. 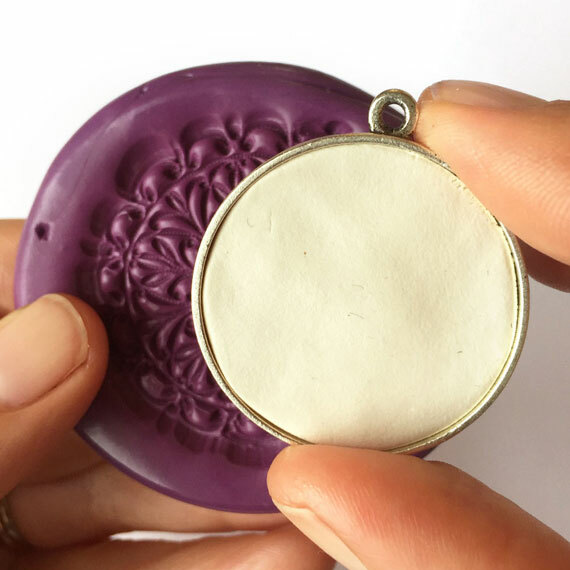 If you put too much clay inside the bezel it will squish out the sides and you will have excess clay to clean up. 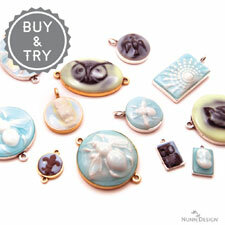 If you don’t put in enough, you might not get a good impression in the clay from the mold. Regardless, both are easy things to fix, so it might take a little experimenting to get it just right. If the Crystal Clay is not flush with the edge of the bezel you can add more or pinch off excess. 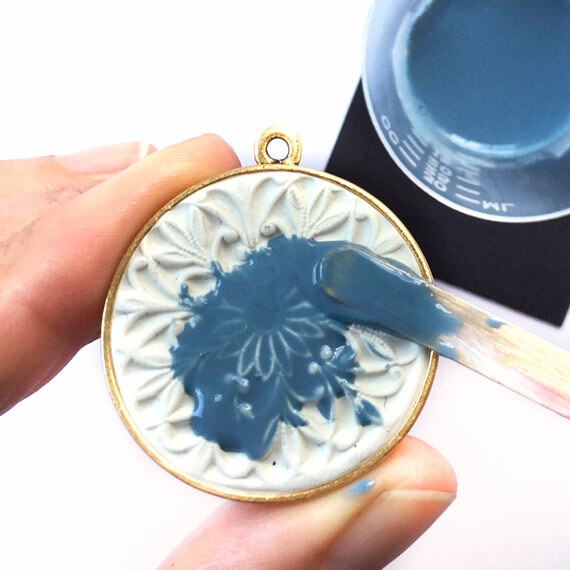 Tip: If filling the corners with Crystal Clay is challenging on the square and rectangle shaped bezels, use a toothpick to press the clay up into the corners of the bezel. 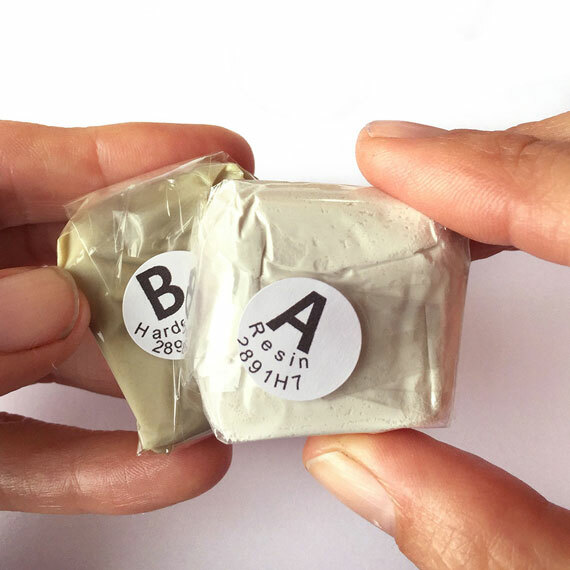 Pat down the toothpick marked clay with your fingers until smooth. 11. 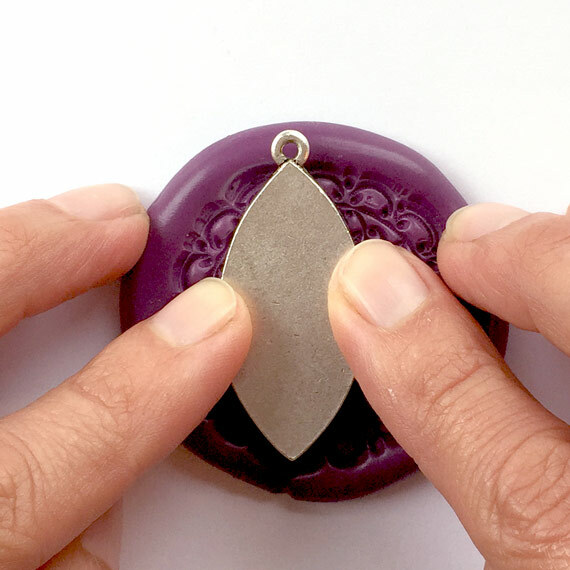 Place the Crystal Clay filled bezel face down onto the putty mold and press down evenly. 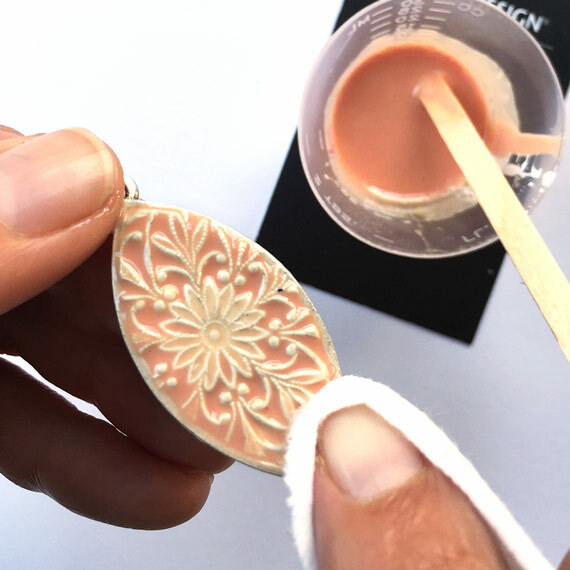 To make sure I have a really good impression, I like to pick up the mold and press the mold into the clay, as well as pressing the bezel down into the mold. 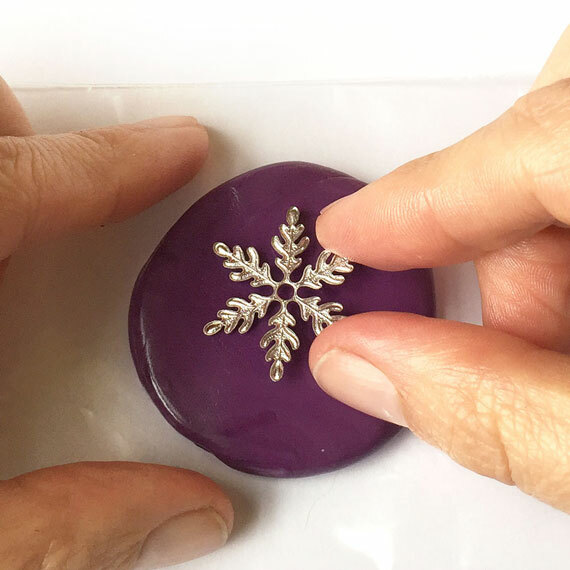 If you don’t like the impression that you make, pat the impression in the Crystal Clay with your fingertips until you have a smooth surface once again and press down into the mold again. 12. 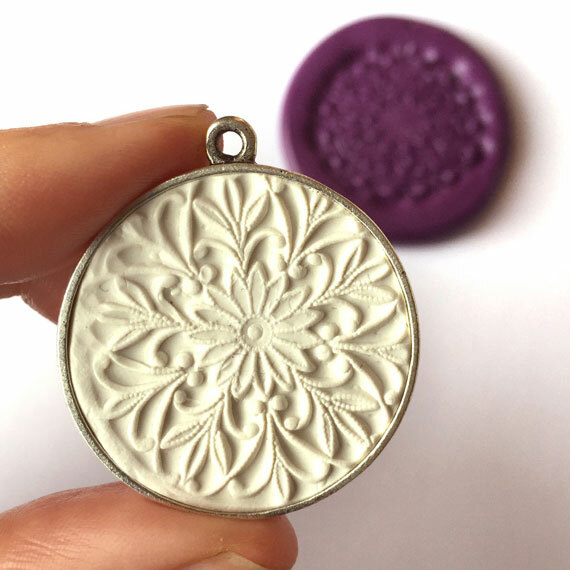 Using a wet-wipe, clean up any excess Crystal Clay that might have been left on the bezel. 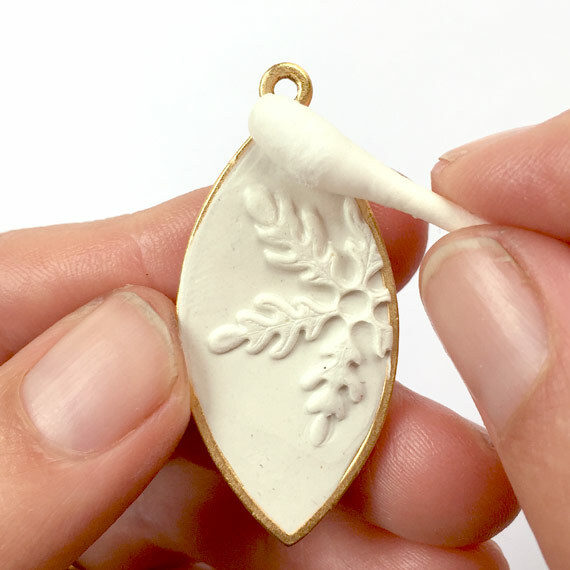 The Crystal Clay hardens like cement, so cleaning it up now and being tidy as you go makes the process easier and the results so much nicer. 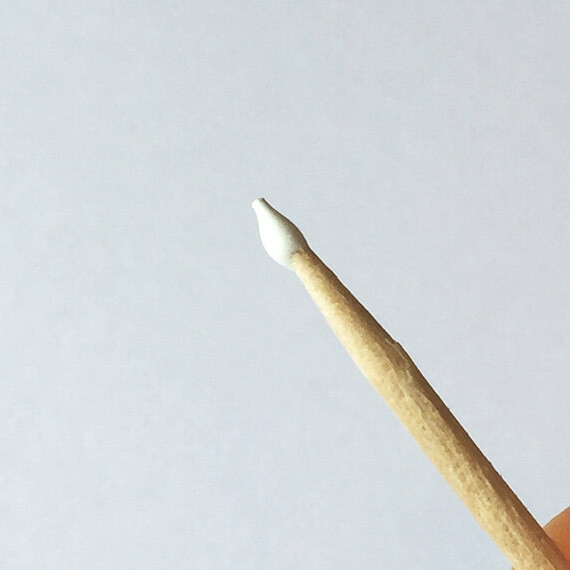 If you have indentations in the Crystal Clay, use a Q-Tip to smooth those out. 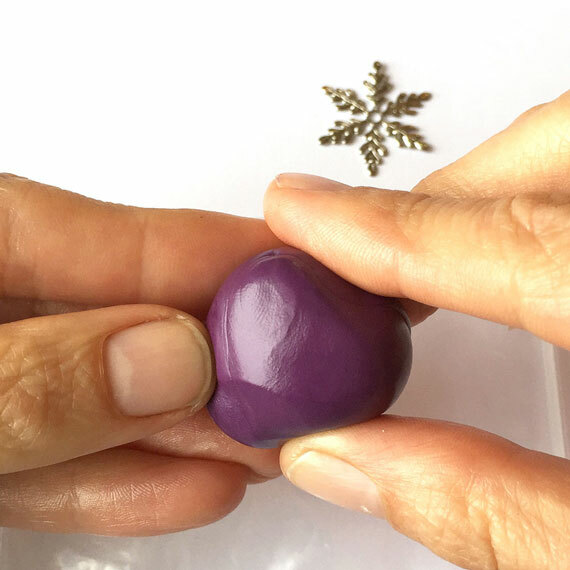 TIP: I suggest letting the Crystal Clay cure for 2 hours or until firm to the touch before placing on the colorized resin. 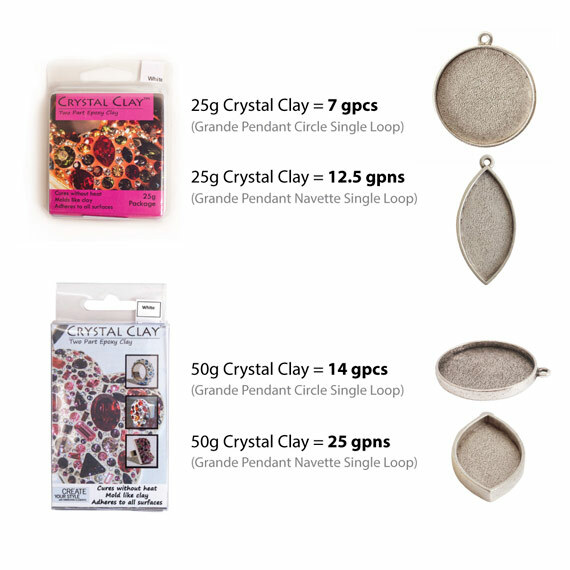 Here is a visual showing the approximate amount of bezels you can fill with 25g or 50g packages of Crystal Clay, putting about 3.3g of Crystal Clay in each bezel. The Grande Pendant Circle Single Loop (gpcs) has an inner diameter of 31.6mm and inner depth of 2mm. The Grande Pendant Navette Single Loop has an inner dimension of 37 x 18 x 2mm. You can weigh your Crystal Clay with a scale like this. 12. 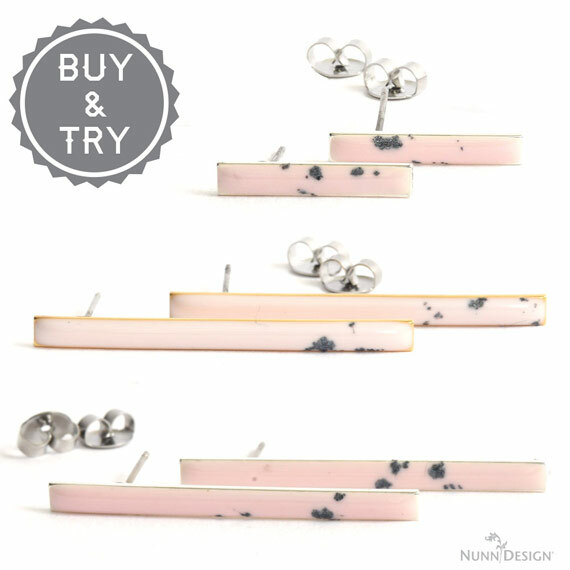 Read the resin instructions for safety concerns regarding the Nunn Design Resin. 13. 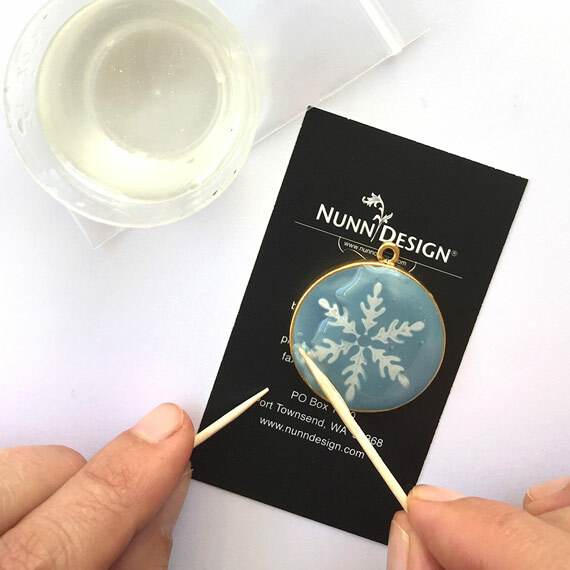 Place one cup (included in the Nunn Design Resin Kit) onto your table. 14. Set your timer for 2 minutes. 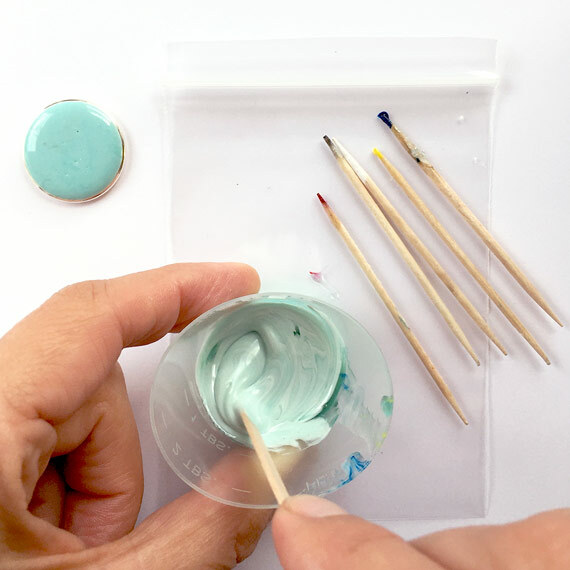 Using the stir stick from your kit (a popsicle stick or coffee stir stick will work great too), slowly and carefully stir your resin scraping the sides as you stir. Stir for the full 2 minutes. 15. To create Pantone Colors, take a look at this chart, 2017 Summer Pantone Color Cheat Sheet, to learn how to mix various pigments to achieve a variety of colors. 16. 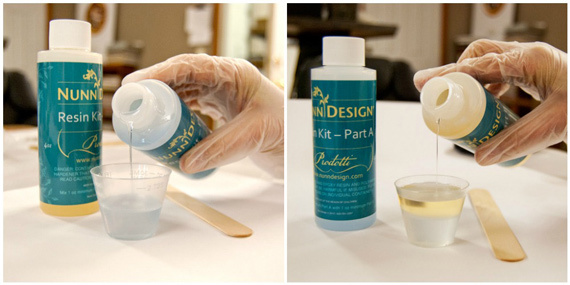 To colorize the resin, place another empty resin mixing cup onto your work area. 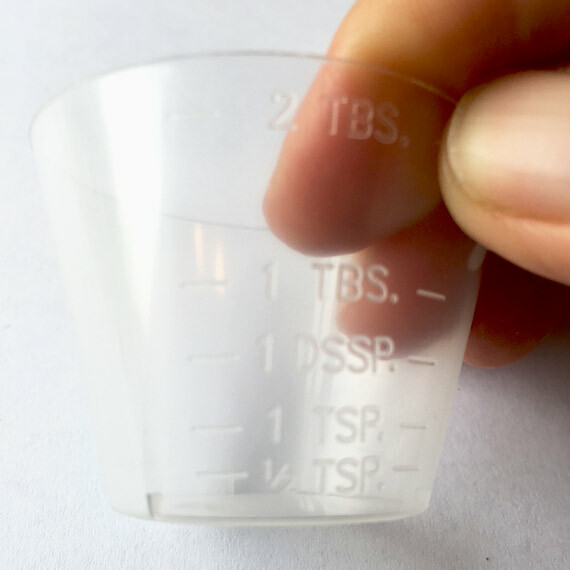 Pour the clear, mixed resin into the cup, filling it to the 1 TSP mark. 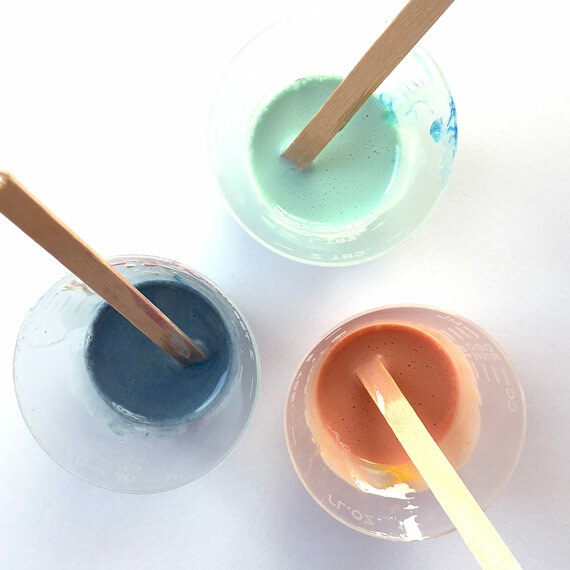 Add in the colorants according to the color formulas and then stir gently until the colorants are fully mixed together. 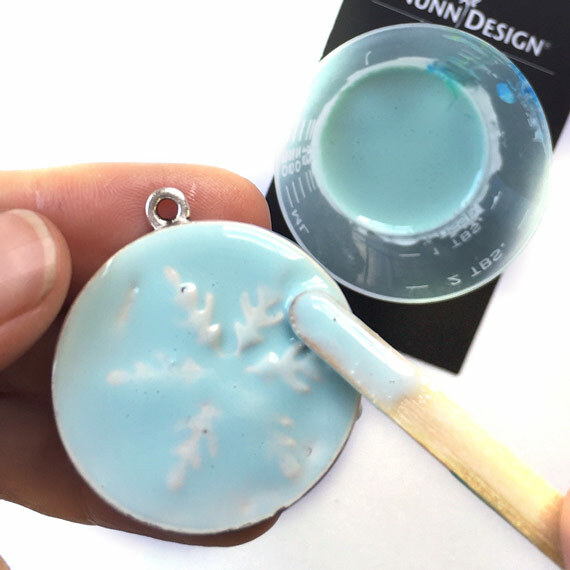 Let resin sit for 5 minutes to let the bubbles rise to the surface and pop. 17. I tend to work in a small area (typically my kitchen table), so I like to work on a surface that projects can be easily moved around and not disturbed. 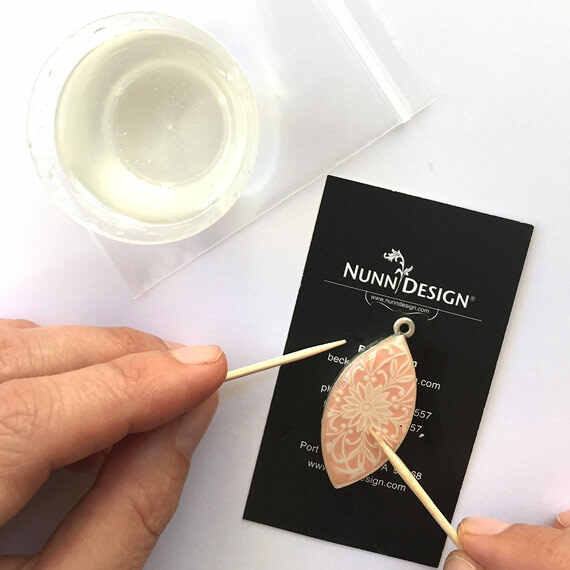 Place some business cards or some heavy card stock onto your work surface, making it easy to move the pendants without getting any resin on your fingers. 18. 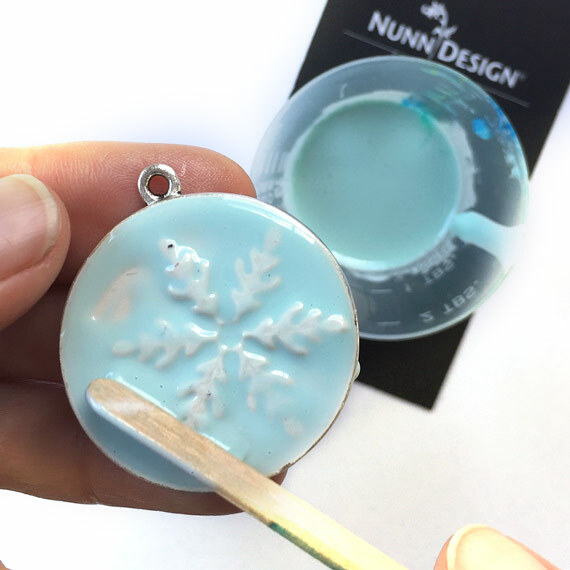 Drizzle a small amount of colorized resin onto the surface of your cured and firm to the touch Crystal Clay impression. 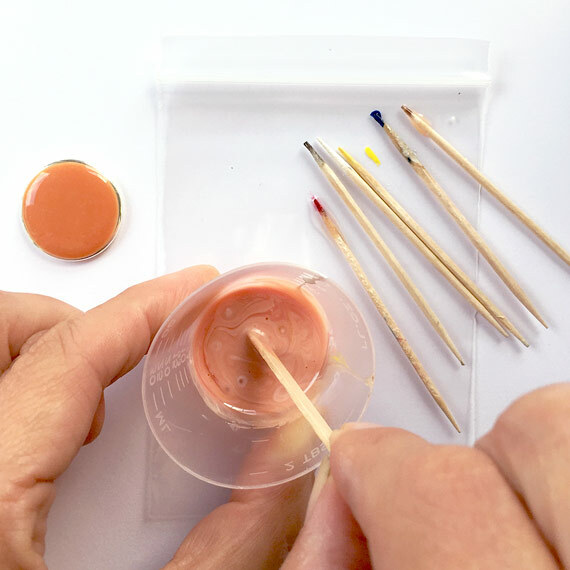 Using a stir stick or toothpick drag the resin over to the side edges. 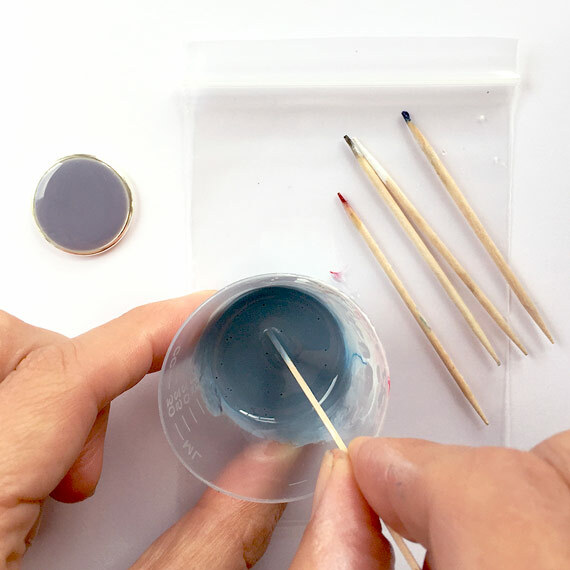 You can also use the stir stick to remove excess resin. 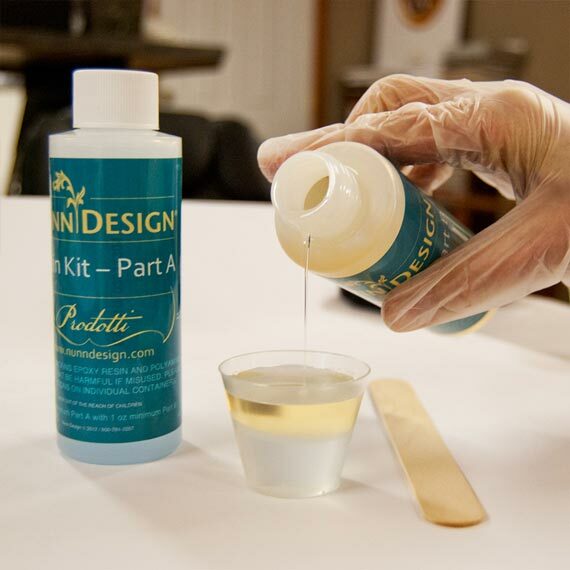 19: Use a wet-wipe to remove the colorized resin for the high points of the impression. 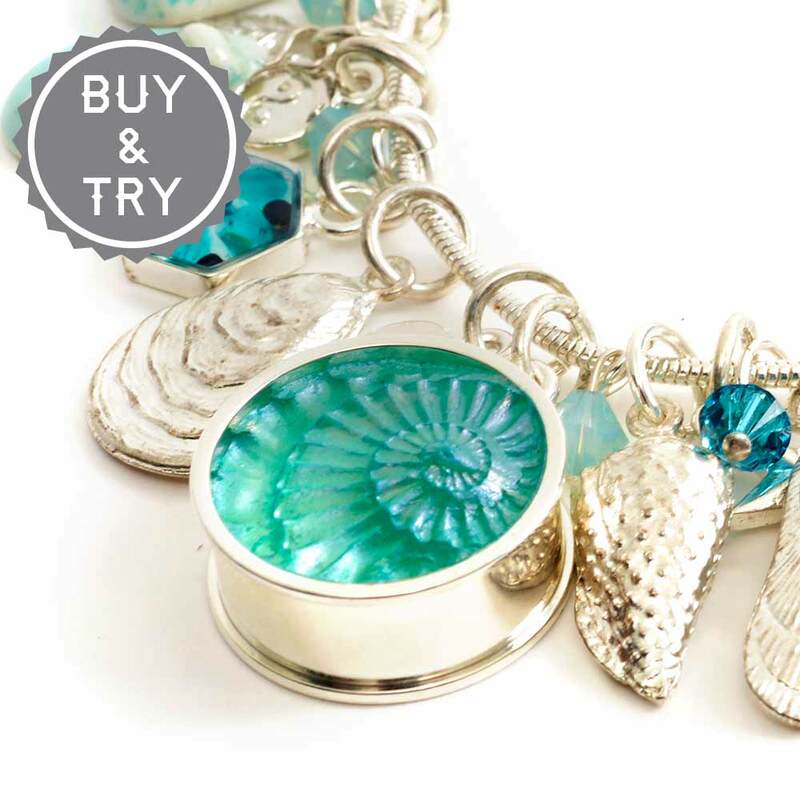 Clean off any resin that might be on the sides of the bezel. 20. 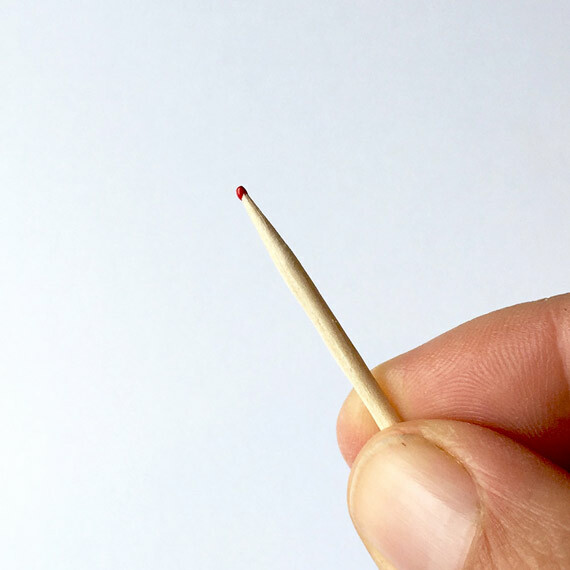 If you would like to add additional colorized resin in areas that need it, use a toothpick to apply and move the resin around. 21. Let the resin cure for 12-14 hours. It will be hard to the touch, but resin continues to cure for the next 72 hours. 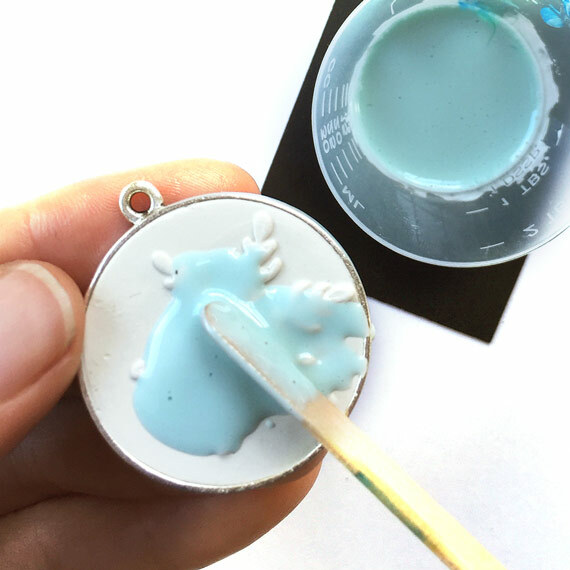 Place a small plastic container over the bezels to prevent dust from getting into the resin as it cures. 22. 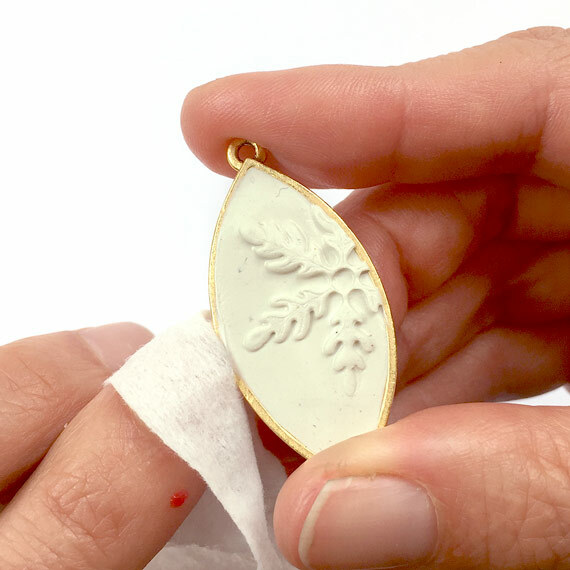 If you have resin that has over-poured or seeped under the bezel and onto the card, wait about 6 hours until the resin is at its “soft cure” phase. Remove the bezel from the card. The resin will still be soft. 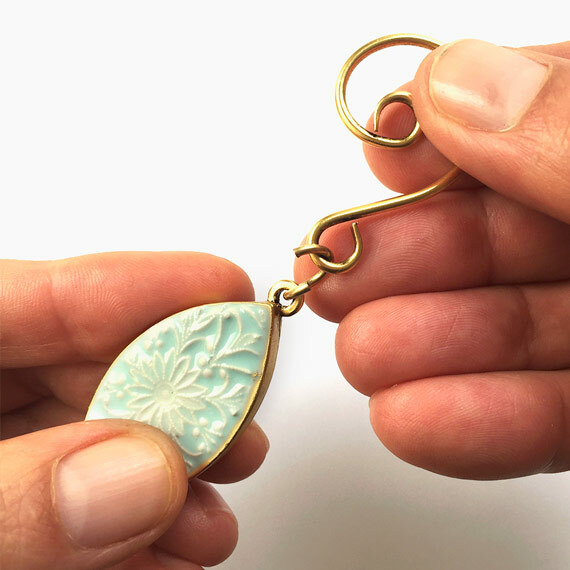 Use a pair of needle nose pliers to bend back the resin from the bezel. 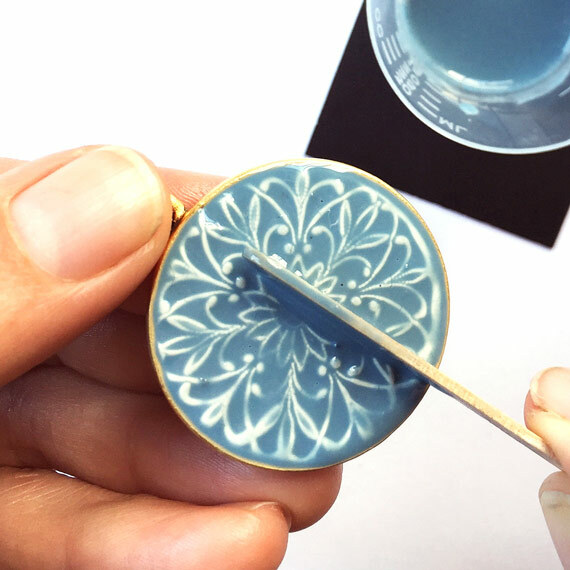 The resin will easily separate and peel off of the bezel. 23. 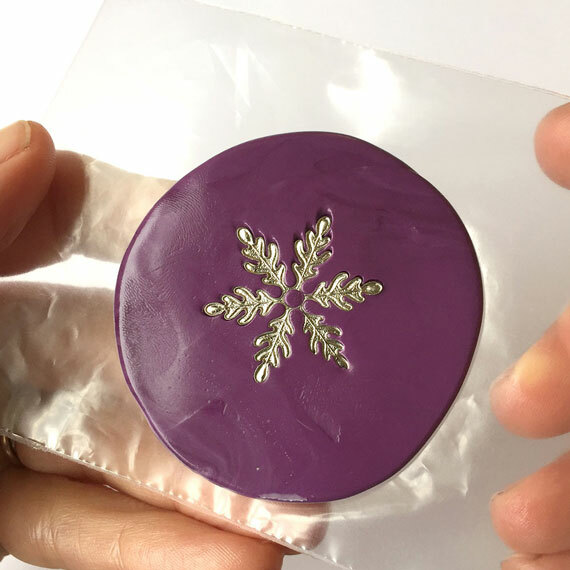 For a design option on a couple of the pieces, I added clear resin over the top of the cured colorized resin coat to provide it with a high gloss look. 24. 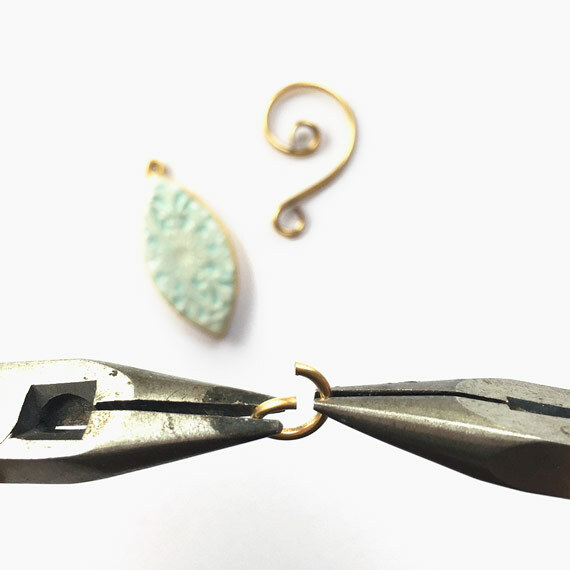 Use two pair of needle nose pliers to open up one of the Large Jumprings. 25. Thread the Ornament Hook and the cured Holiday Ornament onto the open Large Jumprings. 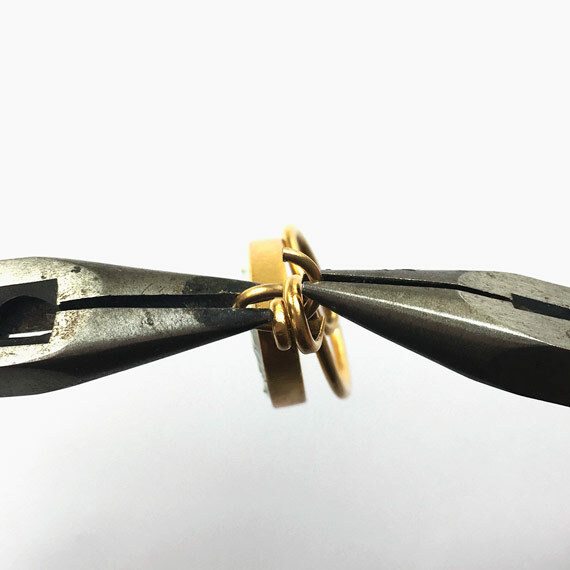 Use the two pairs of needle nose pliers to close the large jumpring. 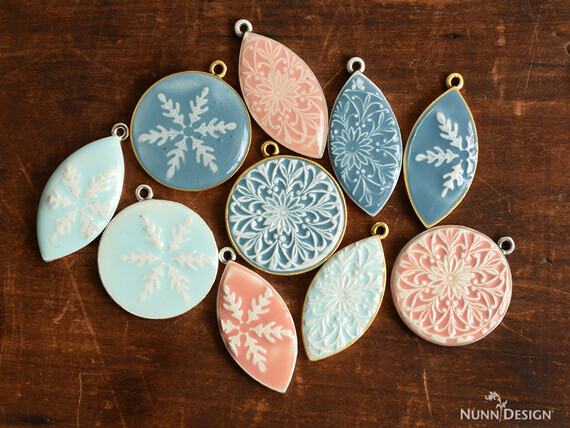 Download PDF Tutorial: How To Make These Holiday Ornaments! Watch Tutorial on Facebook Live! Join me in a Facebook Live on November 30th at 10:00 am PST! I will be walking you through the whole process and answering questions you may have. 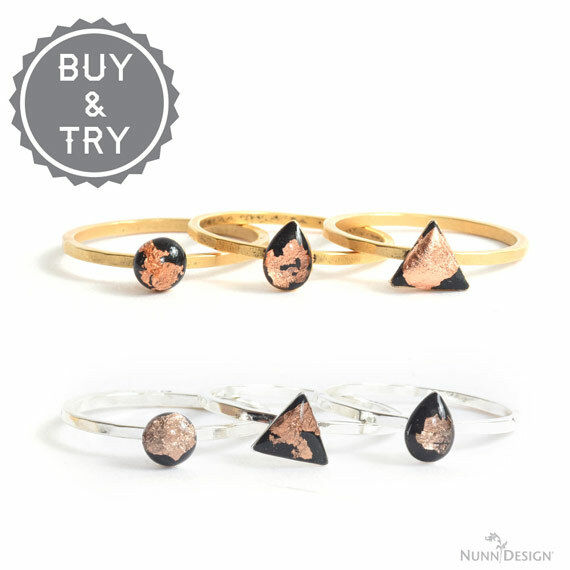 What is a Nunn Design Buy & Try? 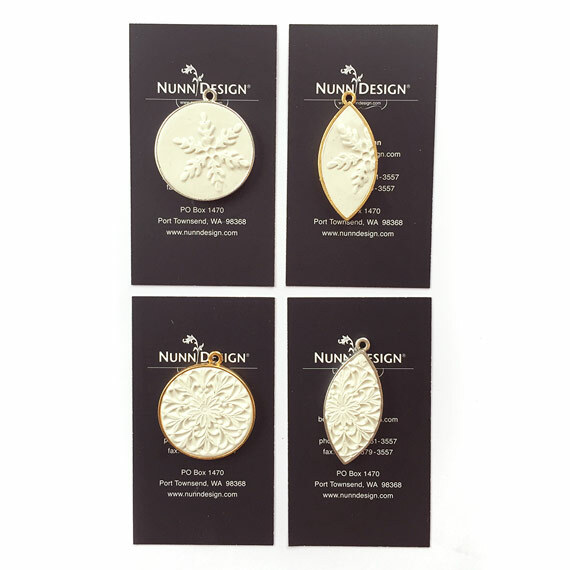 This Holiday Ornament Workshop is a Nunn Design Buy & Try Offer. 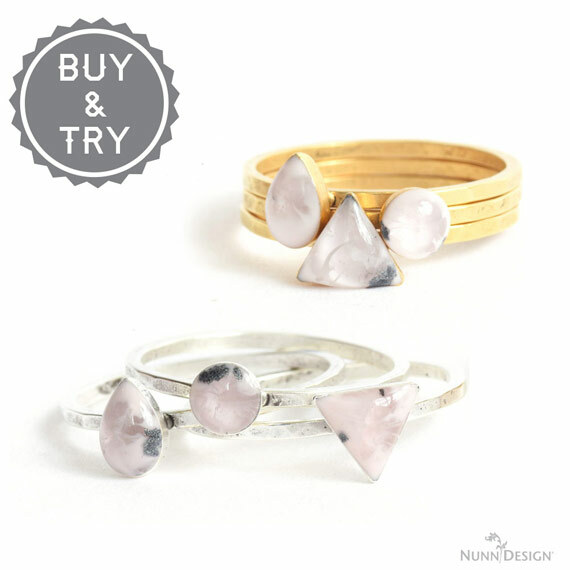 The Nunn Design Buy & Try Program encourages jewelry makers; both wholesale and retail, to buy the products needed to try something new. 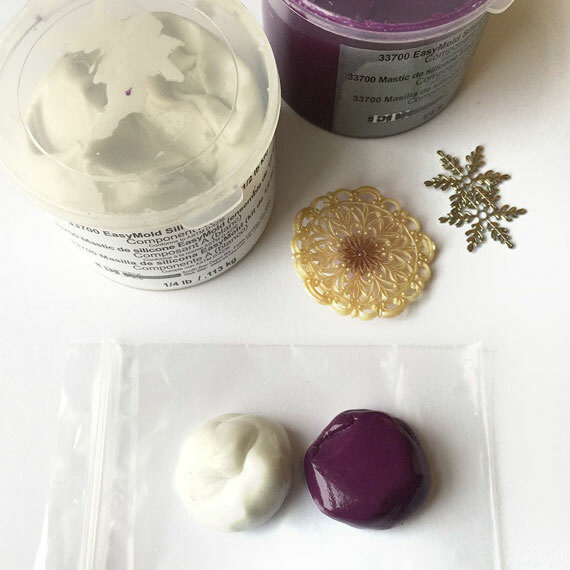 It is always exciting to see new techniques and projects, but sometimes it takes forever to gather the supplies for that afternoon of creating. 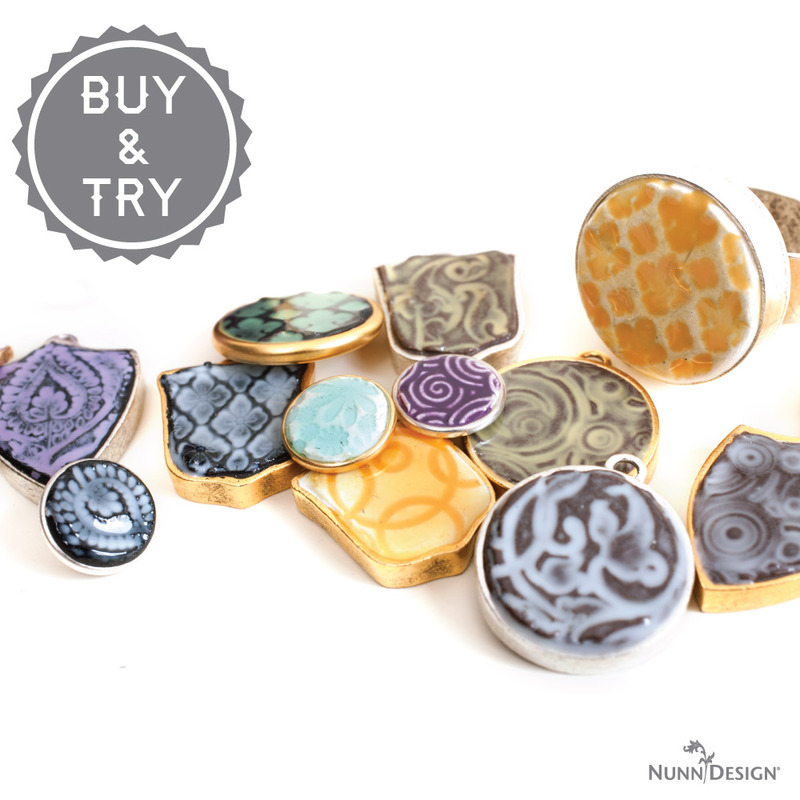 The Buy & Try Program allows you to be inspired and purchase just the items needed to explore the technique we are featuring. 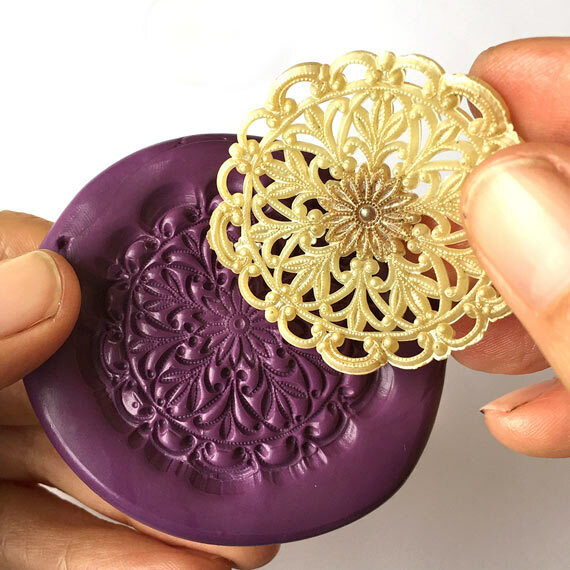 “Buy & Try” offers might contain items that we don’t typically have in stock such as the special silicone molds used in this tutorial. 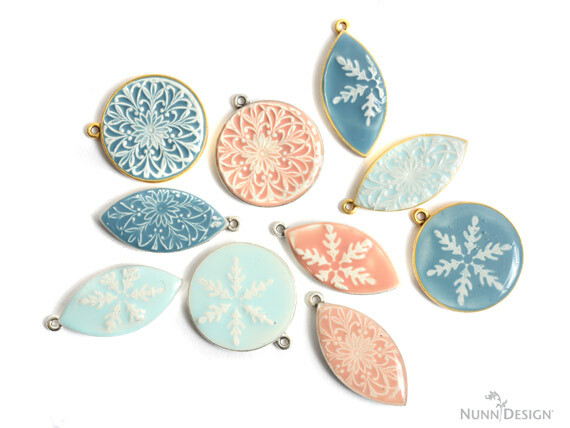 shop retail Holiday Ornament Workshop! 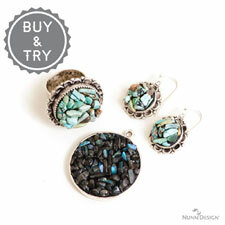 The Buy & Try offer expires December 9th at midnight. 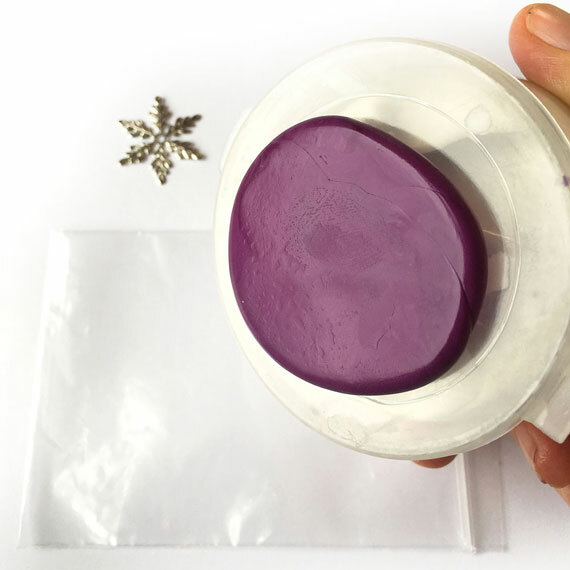 After December 9th: Buy & Try items will stay up for purchase, however you will be required to purchase full bulk packs of findings, the $100 Minimum order back in effect and the molds will not be available for purchase. 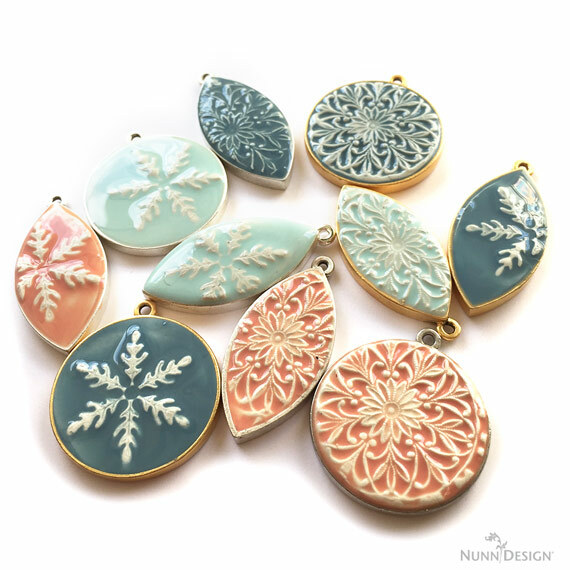 shop Wholesale Holiday Ornament Workshop! Wonderful! Love these. 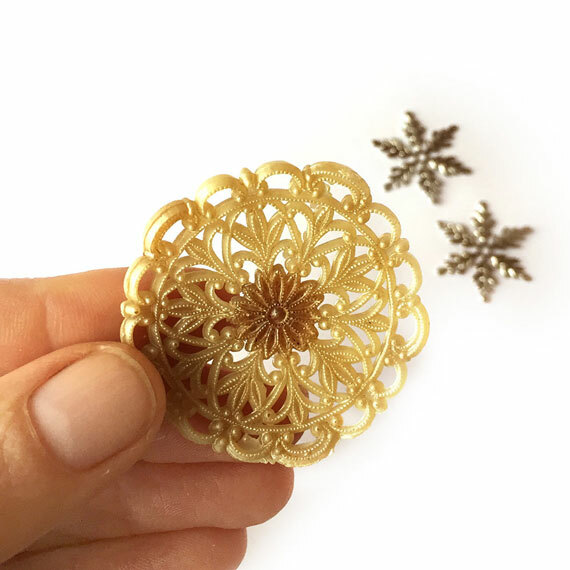 I never thought to use my filigree bits for this sort of project. 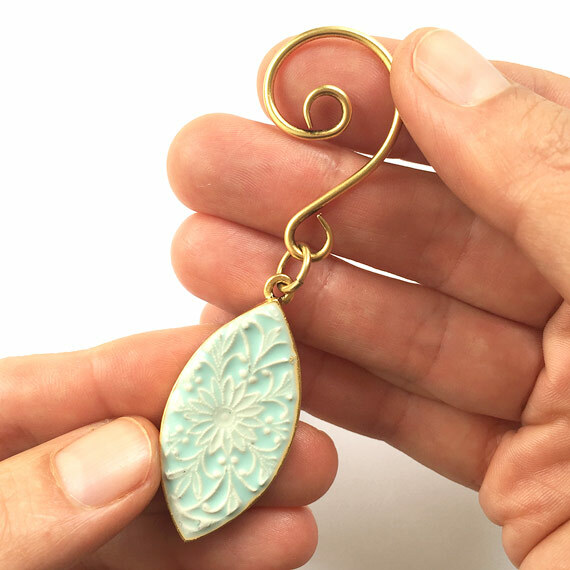 And it’s still usable as a filigree element. TFS! Yes! 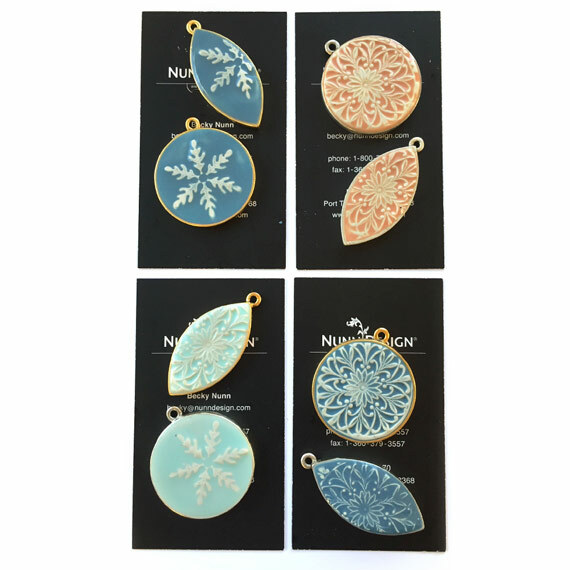 No damage was done to the innocent filigree findings in the making of these molds!